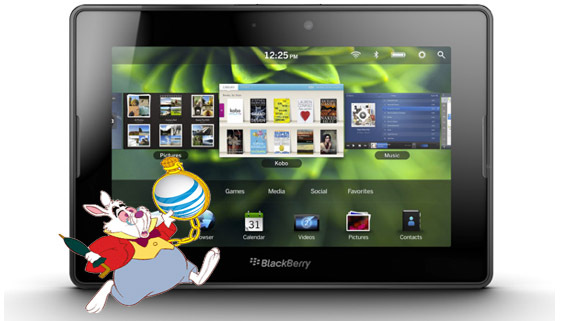 We’ve got good news and bad news, Playbook owners with AT&T BlackBerry handsets. The good news: You know that Bridge app that you need running on your handset to get e-mail or calendar functionality on your Playbook? The one that AT&T has been sitting on for around a month and a half now? Yeah, AT&T finally approved it. The bad news: you still own a Playbook. In a statement sent to that one website with the people, AT&T said the Bridge should be available by noon today.